State and national champion Jacob Furland was back to his winning ways. 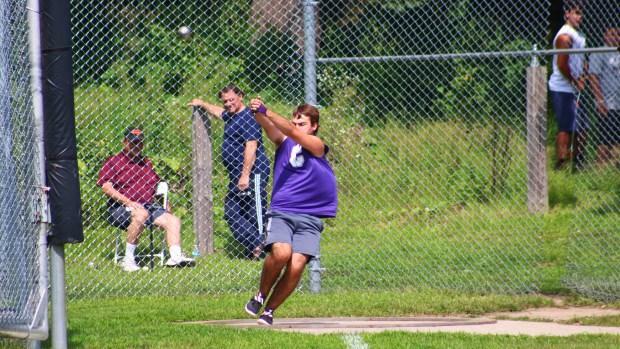 On Saturday, the Classical High star captured the high school 12-pound hammer at the Sons of Italy Throwing Championships at Mount Pleasant's Conley Field. Furland, a senior, unleashed a throw of 205 feet, 1 inch. Woonsocket's promising underclassmen Logan Coles was second with a heave of 198-10. Jake Dalton of Andover (MA) placed third with a distance of 196-8. Barrington's Annika Kelly was a double-winner. Kelly took the 4 Kg. hammer with a toss of 174-5. She also claimed the 3 Kg. crown with a 194-3 effort. Cheyenne Figueroa was twice a runner-up to Kelly, securing her positions with throws of 162-3 for the 4 Kg. and 159-7 for the 3 Kg. Dalton won the high school division for 5 kg., with a best of 205-3.